Orcas are such fascinating animals. 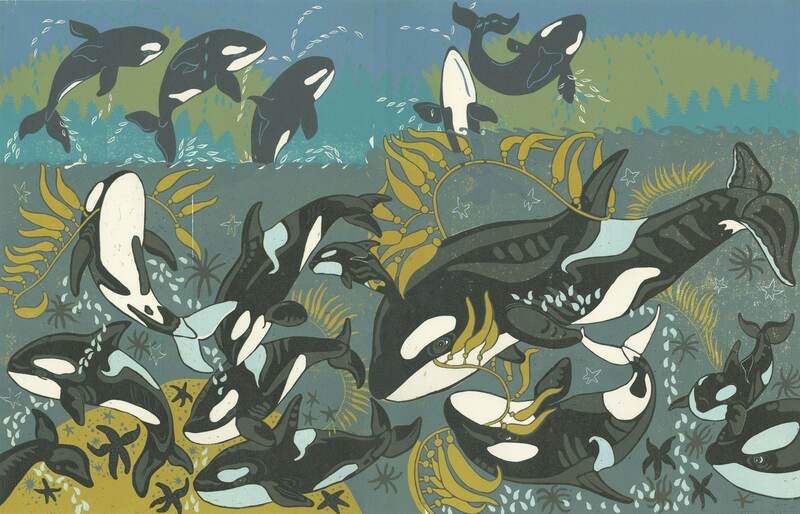 After watching the documentary, "Blackfish" I became much more interested in how they are treated in captivity. Whales should never be kept cooped up in small pens. 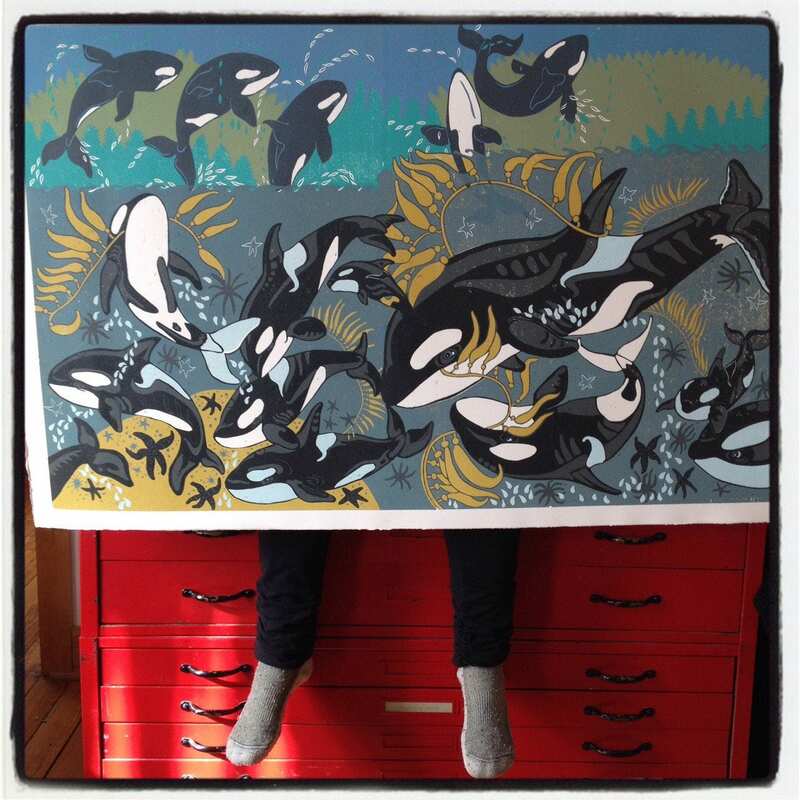 This print is a celebration of wild orcas. They practice a behavior affectionately called, "kelping" which is when they grab a piece of seaweed and toss it around. 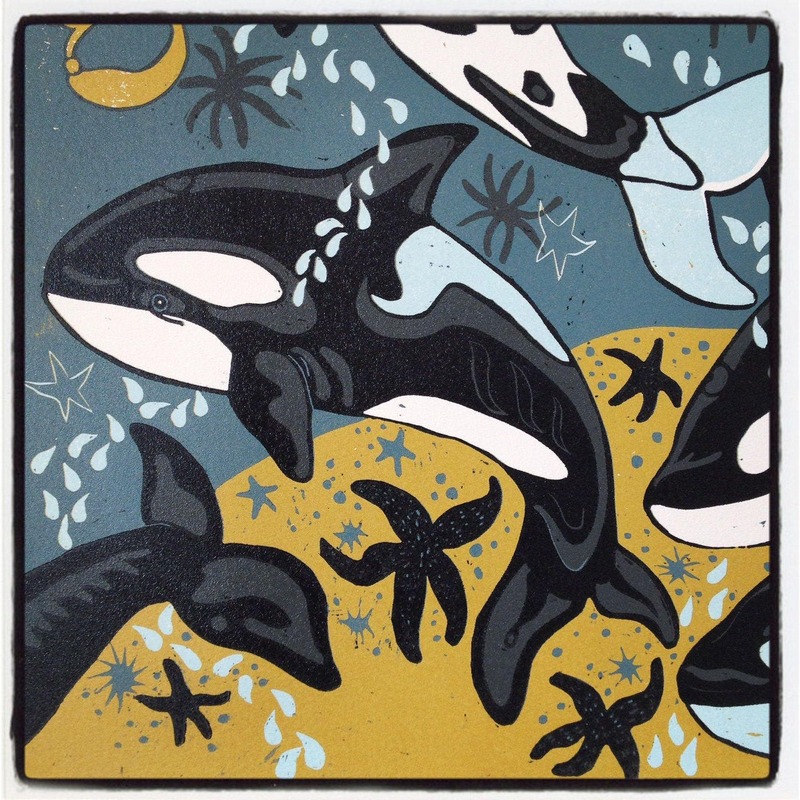 There are three pods living in the Pacific Northwest, J, K, and L. The darkest markings on this woodcut are a nod to the human cultures living in the area. JPOP Studios accepts all major credit cards. Payments are processed through PayPal in U.S. dollars. A PayPal account is not necessary to process your payment. Simply use a major credit card at checkout. Please make payment at the time of purchase. Payment must be made within 3 business days to avoid cancellation of order. 8% sales tax will be added to all New York State orders. Most items shipped 2-5 business days. If an expedited order is needed, please contact me. Larger items willed be shipped via UPS, smaller items will be shipped priority mail or fedex. I travel a lot for art festivals and gallery shows. If I can't get your order out within this timeline I will let you know. If your order is taking an unusually long time to arrive or arrives damaged, please be in touch! Please contact me if you have any problems. I DO want you to be very happy about your new art! 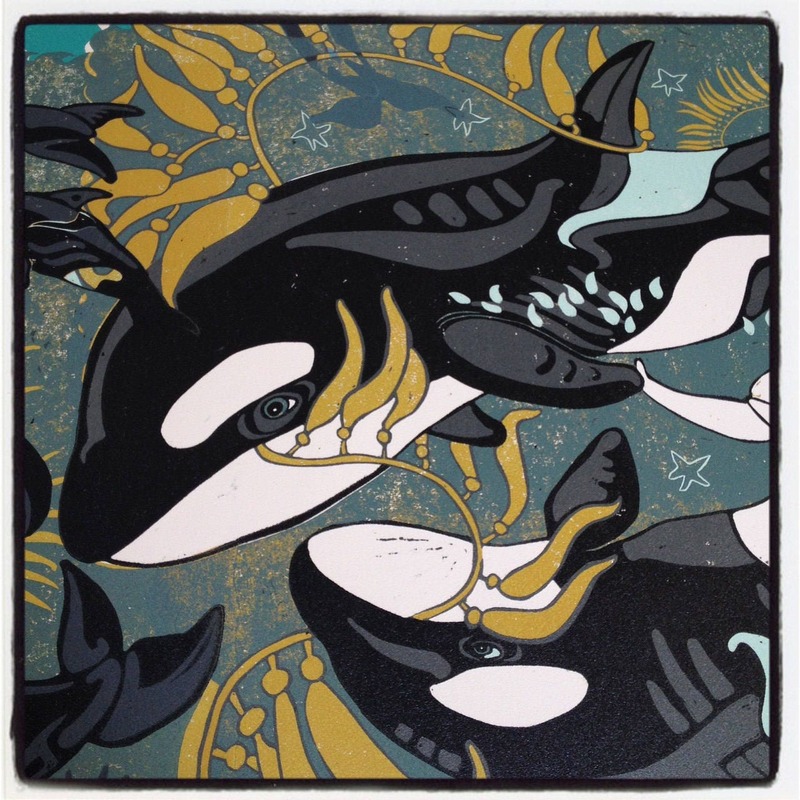 Jenny Pope retains all copyrights on images. Copyrights are not transferable with sale. I appreciate the opportunity to share my work with you!